We love the sign outside the Rogan store on Bowery and Bond. We love its crypic wisdom. We love that it changes constantly. We love its weird little "r"s. As such, we're going to follow it. Obsessively. 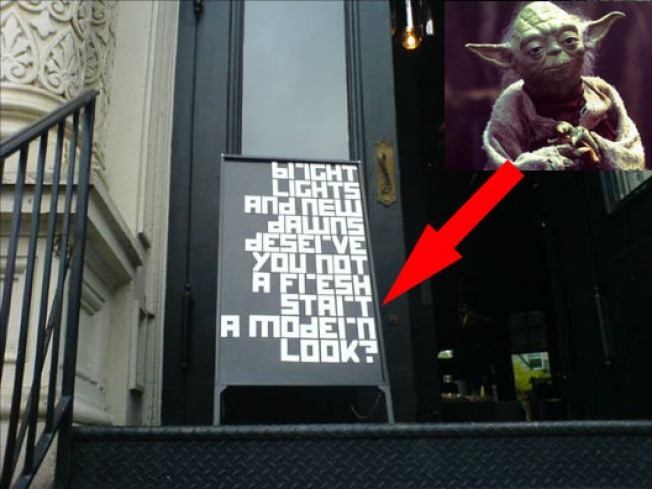 Does designer Rogan Gregory have Yoda on retainer? Witness the new signage outside the man's Bowery boutique, which asks: "Bright lights and new dawns deserve you not a fresh start a modern look?" He's not the only one hoping a new administration will encourage Americans to begin shopping again.